Many retailers offer budget payment or equalized payment plans. Under these plans, energy costs are averaged over 12 months and you're billed an equal amount every month. At the end of your budget year, you will receive a settle-up bill that compares your actual charges to the payments you've made. If you paid more than your actual costs, you will receive a credit. If you paid less than your actual costs, that balance will be added to your next bill. The stability of a fixed monthly payment amount can help ease the financial strain of high-cost months. How do retailers calculate budget payment plans? Please note: your retailer may not be able to offer you a budget payment plan until they have several months of billing to determine an appropriate average to charge you. Retailers offer the budget plan as a courtesy to help customers manage monthly expenses. The amount you pay is not optional, and must be made consistently each month. Always pay the amount listed on your statement and watch your account balance as of billing or actual account balance. If you're planning to pay more or less than your requested budget amount, make sure to call your retailer. Some budget payment plans let you build credit over the summer and then use this credit in the winter when your actual energy charges may be higher than your budget amount. 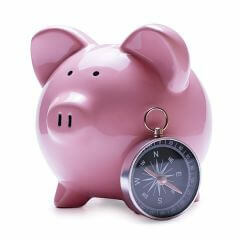 Budget plan amounts still have to be paid monthly even when you have a credit balance. Your retailer may cancel your budget payment plan if you miss one or more budget payment(s). Should this happen, your entire account balance will become due. This can be particularly difficult to manage if your balance is quite high. If you're removed from a budget payment plan, retailers may not allow you to reapply for the same payment option until all outstanding charges have been paid and your account is at $0 balance. Most retailers offer payment arrangements in these circumstances but you need to contact them or there will be collection actions. These include phone calls and letters asking for the outstanding balance and, in some cases, a referral to a third party collections agency. You can pay your bills by having the monthly amount due automatically withdrawn from your bank account by signing up for Authorized Payment Withdrawal plan with your retailer. Note: Some retailers, such as the Utility Network and Partners, require you to sign up for Authorized Payment Withdrawal in order to receive service from them. As per the terms and conditions of service for Electricity and Natural Gas, deposits may be required when opening a new account. Deposits are held until either your account is closed or after 12 consecutive months of on time payments; at which time you will get your deposit back.